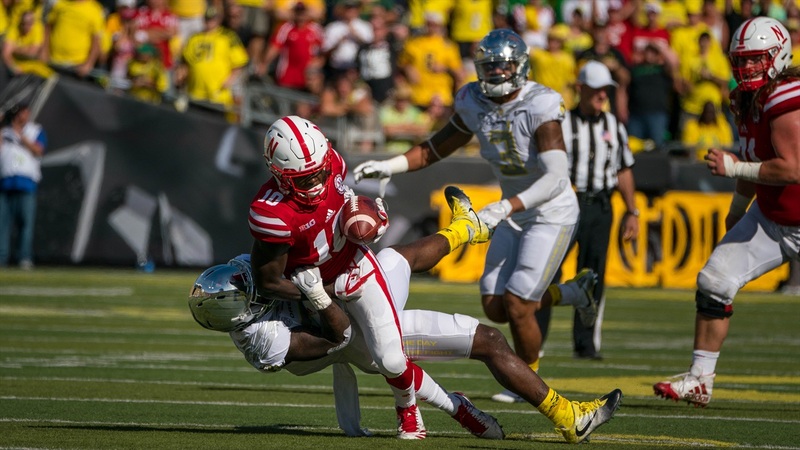 Notable quotes from Nebraska’s 42-35 loss in Eugene to Oregon in the second game of the season. “It’s been a pretty common fact for the games that I coach on that if you lose the turnover battle and you don’t rush for as many yards as the other guy you lose the game. That’s kind of where we’ve been for a long time. Really, really disappointing start of the game. They made some plays and we had maybe some opportunities to make a play right off the bat and did not, and then we really let it get out of hand by the end of the first half. It was very disappointing. “Give them specific things, systematic things that we can change to help them. And then some other fundamental and alignment changes and tweaks that we can give them. Real information to help them. And then we try to refocus the unit’s energy on playing each play individually, as one play and not looking at the scoreboard or thinking about the first half.